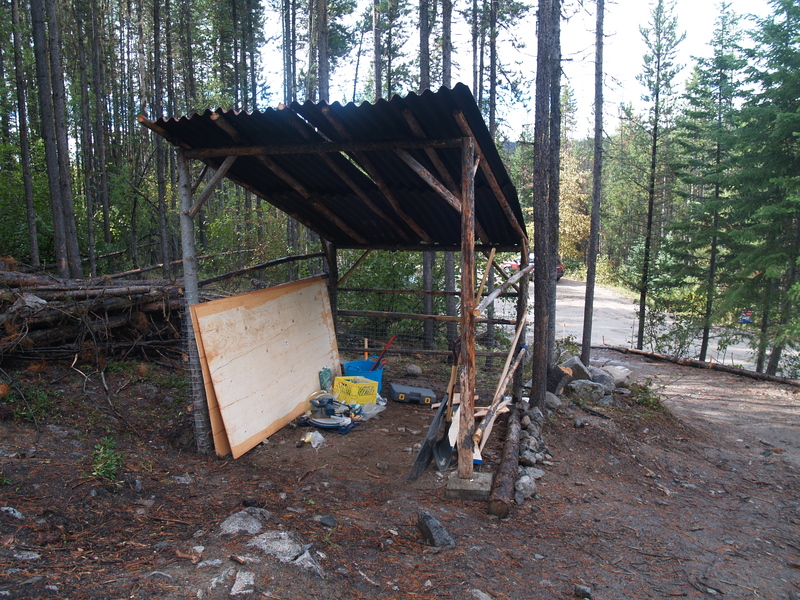 This is our woodshed, framed last time – on this trip we put stucco wire around two sides of it, and got the roof on. It’s a tad crooked and the seams don’t overlap quite right, but it does mostly keep the weather out! 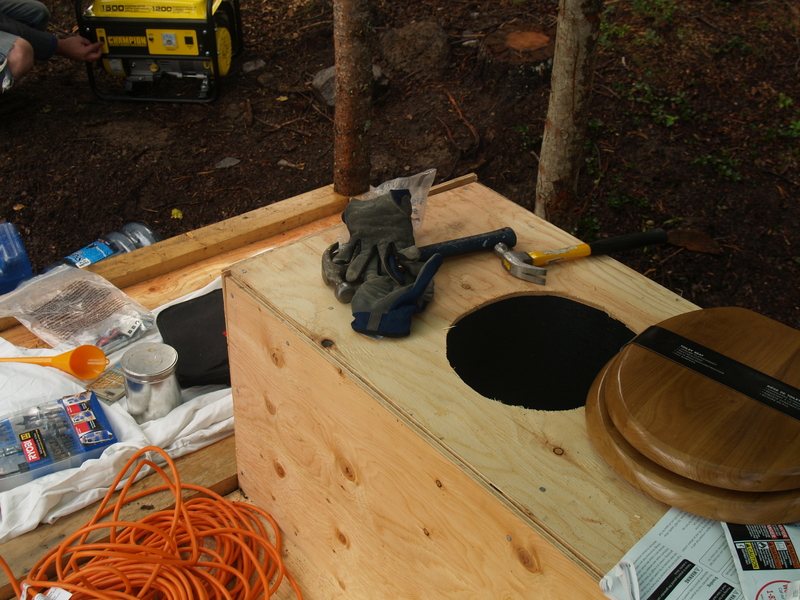 We got the outhouse seat hammered together, lined with metal flashing, and a hole cut out. Nicest seat on the land right now! Leung and Brian hammering on the ranchwall siding after getting the roof up. Here’s where we left it. 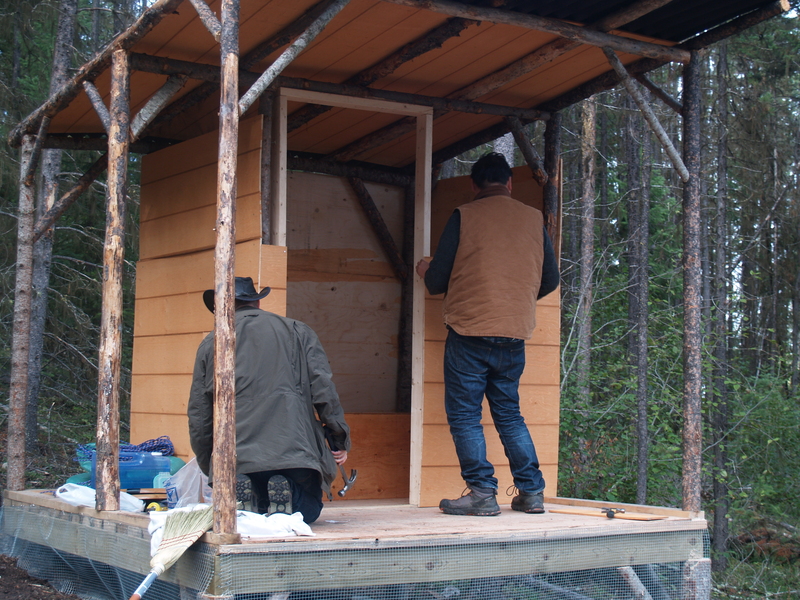 Next trip up we will finish putting wire around the bottom to keep animals out, put on a door, finish the seat and get some stairs going on. Also, foliage around the base to hide the hole! 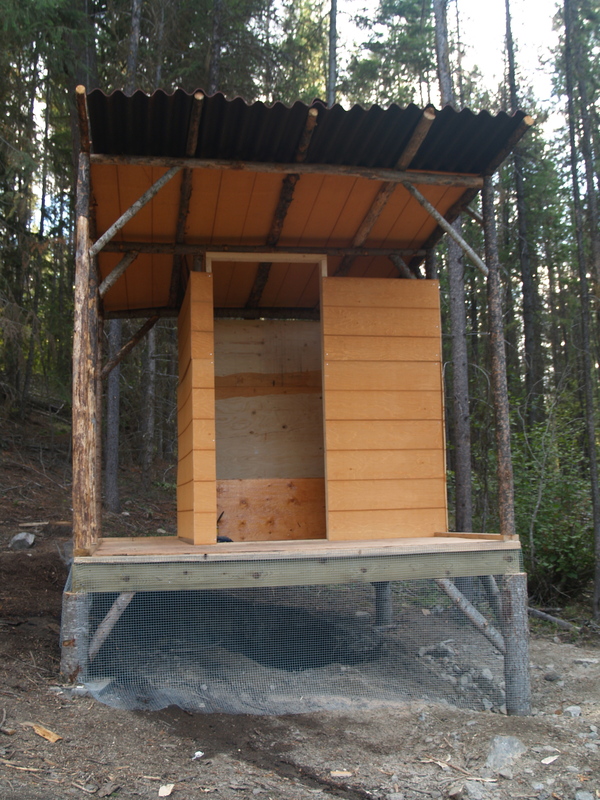 We’re 80% finished the sweetest outhouse and wash station ever! Be sure to cut a window out of the door. Nothing better than looking at the stars in the clear night sky while on the loo.